Gavin Harrison is a musician who is always on the lookout for something a bit different. 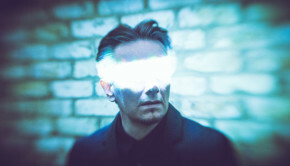 Since Porcupine Tree stopped he has been much in demand, and in addition to guest spots on other’s albums, and touring his drum clinic, he has also made a rather good and unique sounding record with electronica whizzkid O5Ric, the duo’s third outing, and first post-PT. Then of course there’s the small matter of being an arranger and central drummer for the current version of King Crimson. Not one to sit on his laurels, then, but no-one would have expected an album of Porcupine Tree covers in a jazz big band style, which is what we have here. “Does it work?” is probably the most obvious question, and I can say with certainty, yes, it does. I will admit that even I was somewhat nervous on pressing play, but my fears were soon allayed. Gavin picked the Porcupine Tree songs that leant themselves to being rearranged, big band style. 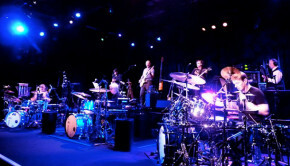 In our interview with Gavin (which you can read HERE), he credits bass player and master arranger Laurence Cottle (Bill Bruford’s Earthworks, Alan Parsons Project, etc) for that, and given how the album was assembled the arrangement part of the process goes beyond my understanding as a non-musician, but it sounds like a very complicated procedure. I won’t go into that further here, for Gavin explains it all in the interview. Suffice to say the explanation of how Cheating The Polygraph was put together is jaw-dropping! That the end result is a cohesive, organic and living piece of music is really quite remarkable. I will keep this review short, as Gavin goes into more detail in the interview. However, most Porcupine Tree fans will be playing “guess the track”, which is a fun if sometimes futile (heheh) exercise, as Laurence has rearranged some of these songs into something else entirely. Indeed, some of these tracks are more than one PT song welded seamlessly together. You will pick up on snatches of melody in the otherwise barely recognisable rearrangements that will have you scratching your head and searching out the original once you’ve looked at the track title. There are some songs that are instantly obvious, the most recognisable of which are Sound Of Muzak and Hatesong. Gavin and crew also tackle The Pills I’m Taking, a part of the somewhat disjointed Anaesthetise, and I feel it works better here a stand alone. It only reinforces my contention that Anaesthetise gives the impression of three songs tacked together to make a prog-pleasing “long ’un”, but that’s a discussion for another time. In order to appreciate this album, a love of Porcupine Tree is not merely inessential, but largely irrelevant. 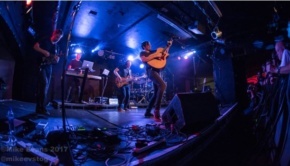 If you liked jazz rock from the many bands in the genre, just before the longer lasting fusion style properly established itself, then you will definitely like this. Those bands I refer to include The Graham Bond Organisation, Manfred Mann’s Chapter III, Blood Sweat & Tears, early Chicago, and although the “rock” guitar in some of those bands is absent here, it is jazz done in a rock context, and it is a great success. This is densely packed and intricate music, with a controlled power. I only have a download for this review, but the CD/DVD version (see links below) comes with a 5:1 mix, which would certainly do it justice and be great to hear, I’m sure! Initially I thought this album might turn out to be one of those curios that one revisits occasionally to remind oneself if it really WAS that far off the beam, but my first impressions were entirely wrong – a reviewer admitting he’s wrong? Has the world gone mad? 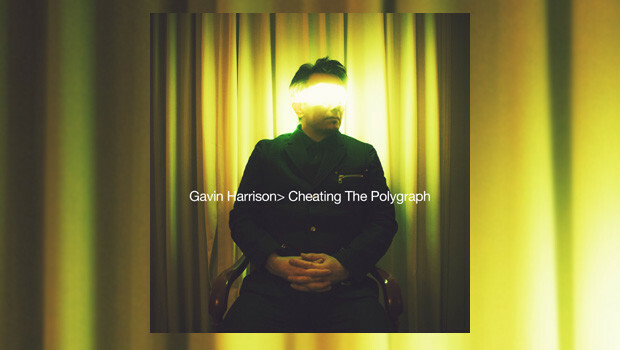 No, Cheating The Polygraph is simply a great record, and one that will probably make by end of year list with ease.